The DOMA Project welcomes our first legal intern, Derek Tripp, a third-year student at Hofstra School of Law in Hempstead, New York. Derek is a graduate of the University of California at Davis (2006, B.A. Political Science, B.A. English). At Hofstra, Derek was selected for an LGBT Rights Fellowship and served as Associate Editor and Staff Member of the Journal of International Business and Law. Derek has participated as a student attorney in the Hofstra Law School Asylum Clinic, where he prepared asylum claims and represented applicants in Immigration Court. Last summer Derek interned at the office of U.S. 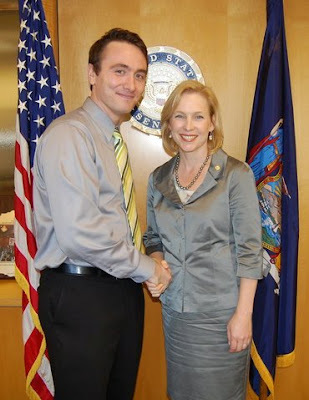 Senator Kirsten Gillibrand, where he researched multiple issues including health care, women’s issues, aging, and immigration. He also assisted with casework involving immigration issues as well as the Senator’s focus on LGBT legislation. Before attending law school, Derek was a Public Policy and Government Affairs Intern in Washington, DC for the National Gay and Lesbian Task Force. Derek will work with The DOMA Project on pending I-130 Alien Relative Petitions filed by lesbian and gay binational couples before the United States Citizenship and Immigration Services, Board of Immigration Appeals and federal courts.